After Ireland’s 19-9 win over England, Stuart Lancaster made reference to the amount of Irish kicking in the match saying: “I think 44 kicks in open play tells a story. 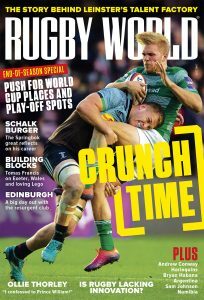 But it’s effective.” When Ireland beat Wales 26-3 in 2014, Warren Gatland remarked that he couldn’t remember any occasions when the victors moved the ball through the backline and that they “kicked the leather off it”. It isn’t uncommon for a losing coach to highlight a perceived lack of adventure in a winning team’s tactics, with kicking the regular complaint. The inference perhaps being that the opponent has won ‘ugly’ and forsaken a desire to entertain. But those are specific rugby statistics. What story does the number of kicks in isolation really tell? 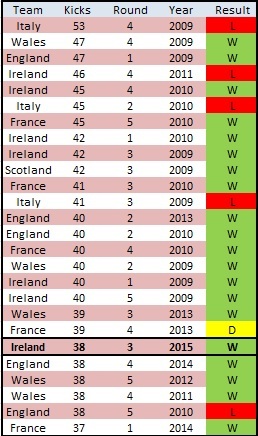 Against England, Ireland kicked the ball 38 times with that original figure of 44 recalculated by Opta. Going back to the 2009 season of the Six Nations – a sample of 99 matches, it can be seen below that a total of 38 kicks is the 21st highest in that period and the same number that England recorded against Wales last year. Ireland have kicked more than their opponent in 19 consecutive matches in all competitions, with an average of 14 more in their previous three games. However, they also tend to pass and run more than their opposition too, an element of the story that has received less attention. Taking that recent third round win over England as an example, Joe Schmidt’s team made 135 carries to England’s 124 and 156 passes to 120. If use of the ball is split into those three actions, then Ireland kicked 11.6%, ran 41% and passed 47.4% in contrast to 8.6%, 46.4% and 44.9% respectively by England. Below is a look at the average number of runs, kicks and passes made by each team per match in the current Six Nations tournament, as recorded by Opta and then the average split of how the ball has been used. Criticism of Ireland’s tactics has usually revolved around a view that they place too much emphasis on the kicking game. Allowing for the small sample of just three matches in 2015, it can be seen that they really aren’t that different to Wales or England though when it comes to how often they opt to run, kick and pass. Here is a view on how an average Ireland performance in this year’s Six Nations compares with the competition average for all teams, over the previous seven years. In 2009 and 2010, teams gained an average of 4.2 metres per carry and kicked the ball around 33 times a match. Both of those figures have declined in the five subsequent seasons with an average of 3.3m a run and 24.5 kicks a game from 2010. It can be seen that Ireland are only making 2.3m per run this year, which is on course for the lowest average gain of all teams since 2009. It is worth noting that Ireland have traditionally been below this average every year in this period (except 2012) and that the average itself has dropped in 2015, to 3.04m. Only Italy in 2013 (122.2 carries a game) and England last year (129.8) have averaged more than 120 runs per match in this sample of matches. In that context, Ireland’s figure of 128.6 runs per game doesn’t really reflect a side that has ‘no running rugby’ – an accusation levelled at them recently. It is more the case that their kicking has proved more effective than their attacks with ball in hand. In five of the previous six seasons, the winner of the Six Nations also had the lowest penalty count. Last year that was Ireland with 7.2 and again in this campaign they are the best disciplined side with 8.6 conceded a match – with the next sides, England and France having 9.6. A desire to keep errors, be they penalties or turnovers, to a minimum would also be a factor for the low rate of Irish offloads. 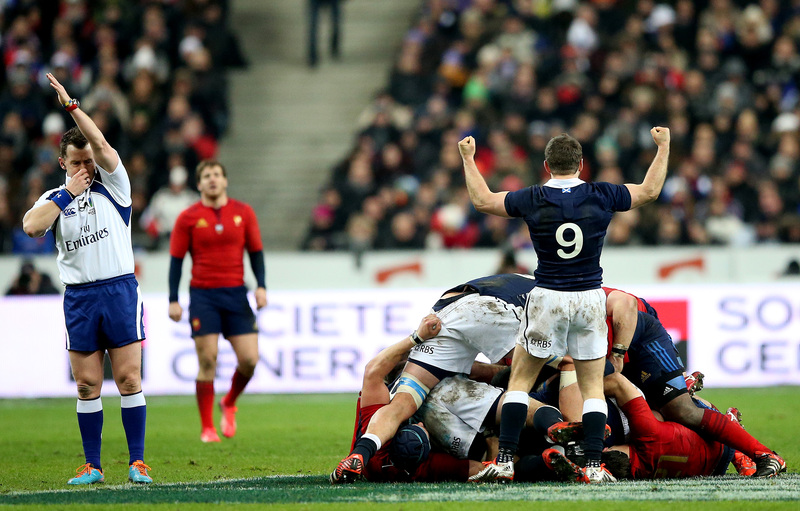 France are averaging 16 offloads a match this year but also 16 turnovers conceded. For Ireland it is 4 offloads a game and just 8.6 turnovers. Ireland’s tactics play to the strength of their available players, the conditions and crucially the way the game is officiated. It is a style that has looked to negate potential issues in the scrum, speed of ball returned from the breakdown and how the offside line is patrolled. If tries are the worry, then Ireland average 2.8 a game over the previous 10 Tests – compared to 2.3 from Wales, 2.2 England, 2.1 Scotland, 1.5 France and 1.3 Italy. That doesn’t account for factors such as strength of opposition or venue, but then again there has been little in the way of that mitigation, when Ireland’s play has been criticised. There can be a tendency to assess teams and players by results instead of performances. Along similar lines, the decision to kick for a lineout or posts is often judged by the outcome, with the quality of the thought process for the call and subsequent execution, ignored. If there is now a requirement that a win must also be achieved in an attractive manner, will allowances be made for a losing team that has played the ‘right’ way? That is unlikely and indeed the opinion would probably be that the beaten squad were lacking smarts. The debate should perhaps centre on why territory is now more valuable than possession and what can be done to alter that (if desired) rather than complaints about how Ireland have made the best of the situation.